Lately my husband and I have been discussing the merits of joining a Wholesale club. We've discussed it many times in the past but have never been able to decide if it was really worth it or not. So we took a little test drive through BJ's this weekend and checked out some of the deals. Unfortunately, many of the items we inititally looked at only looked like good deals - but then when I calculated price per item (see below) I noticed the price was substantially higher. 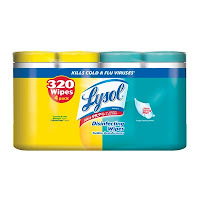 Large 4 pack of Lysol Wipes. 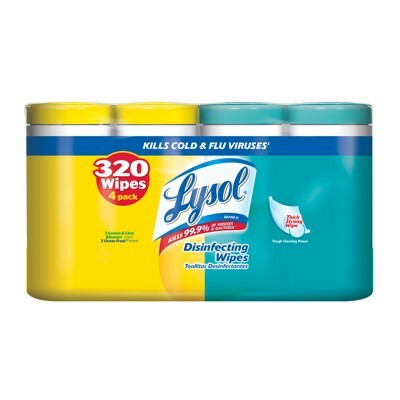 Cost was $11.99 and there was a $2.00 off coupon in the BJ's coupon book - making these wipes $9.99 (or $2.50 per 80 ct container). These large wipes containers usually retail for around $4.50 EACH so I thought this was a really good deal! Milk - $2.39 a gallon! You can't beat that! Bertolli Instant Meals - a 3 pack for $3.50! Berkley Jensen Cat litter - $8.99 for 40lbs! I pay almost double this for Tidy Cat. 1) Figure out what the lowest price you can get your membership for. I can get a discounted card through my union. Ask at your preferred club to see if they offer a discount for AAA or AARP members etc. 2) Think about your shopping habits. Is it likely you will visit this store on a weekly or monthly basis? Do you do smaller shopping trips or huge 'stockups'? Will you actually make good use of your membership? 3) Know your prices. If you typically pay $1 a jar for tomato sauce - then you know that three pack for $6 isn't worth your while. When in doubt calculate the price by the amount of units to determine how much each item is really costing you. Do you belong to a wholesale club? If so which one and what do you typically buy there? Do you think the membership is worth the price? Let me know! We do monthly trips to Costco. I buy all my staples there...when I have a coupon. This includes things like conditioner, shampoo, tampons, multi-vitamins, toilet paper, paper towels, and plastic baggies. They are also my go-to source if I have missed a sale on poultry at my local super market, as their everyday price is cheaper than the local grocery store.